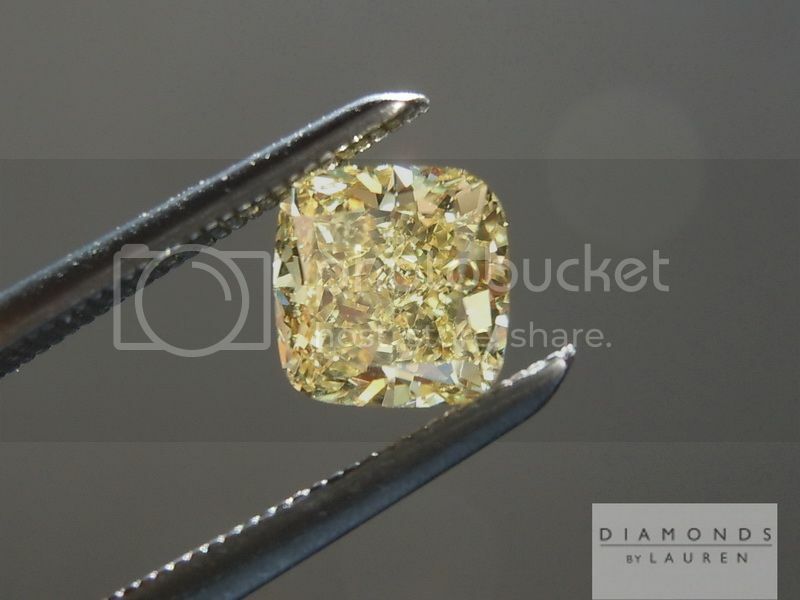 Picking the best I1 diamonds is an acquired, and specialized skill. 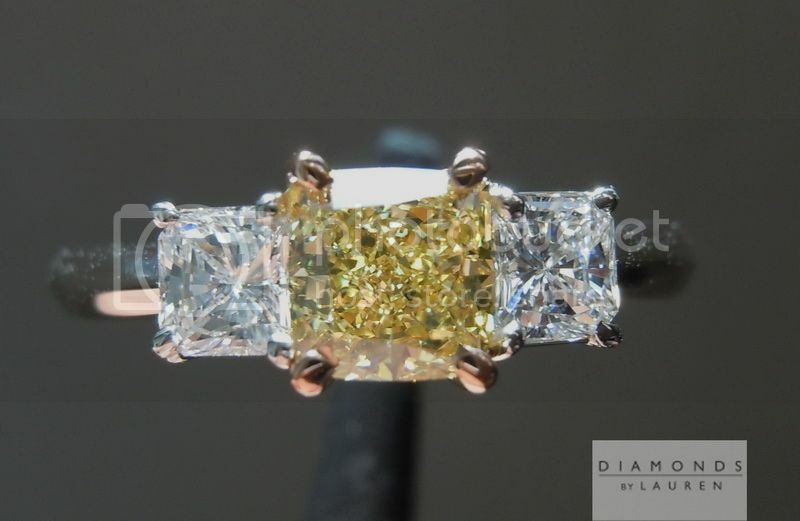 When I worked in the order department after graduating the diamond sorting school of of Harry Winston, I specialized in working with imperfect goods. 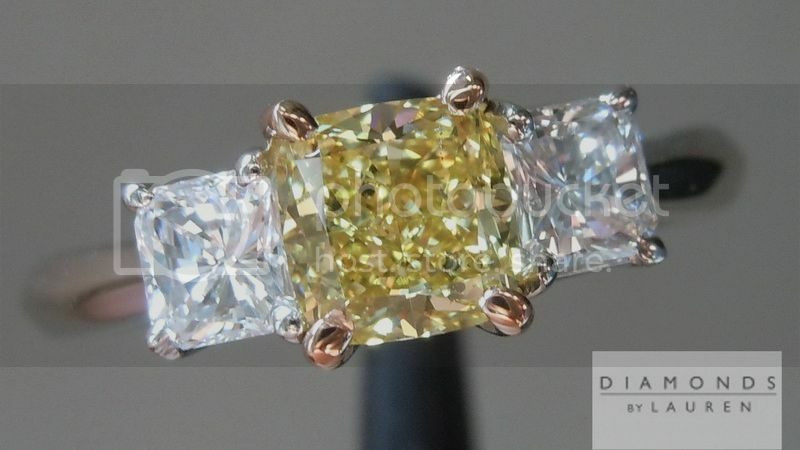 I always loved diamonds with characteristics - also known as imperfections. Anyone can grade VS1- VS2. Grading SI2, I1, and I2 requires a lot more judgement in a manner of speaking. 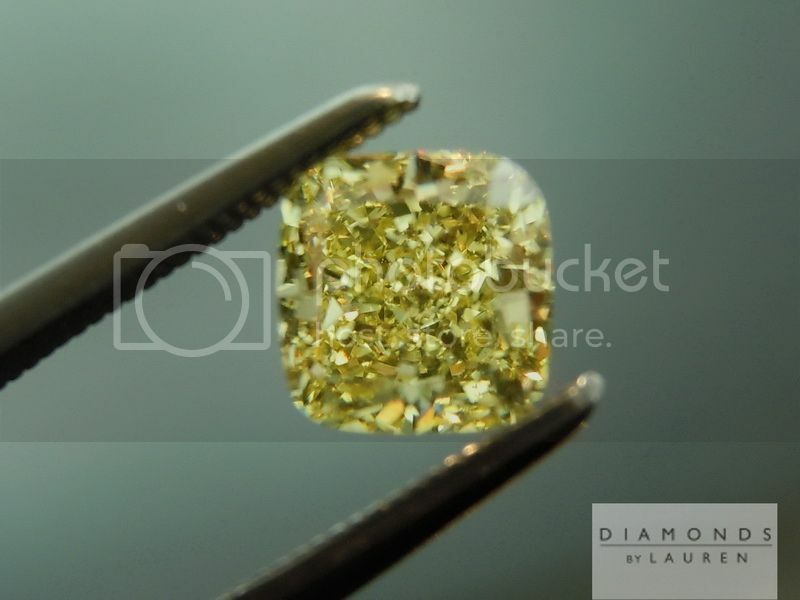 We got our hands on a nice group of super well cut Intense Yellow Diamonds - all graded I1 clarity by GIA- and ALL are eye clean. 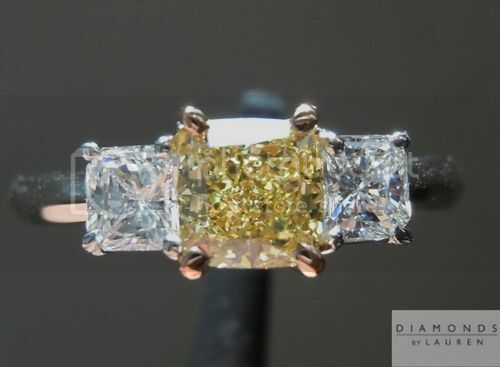 These are desirable I1 diamonds. 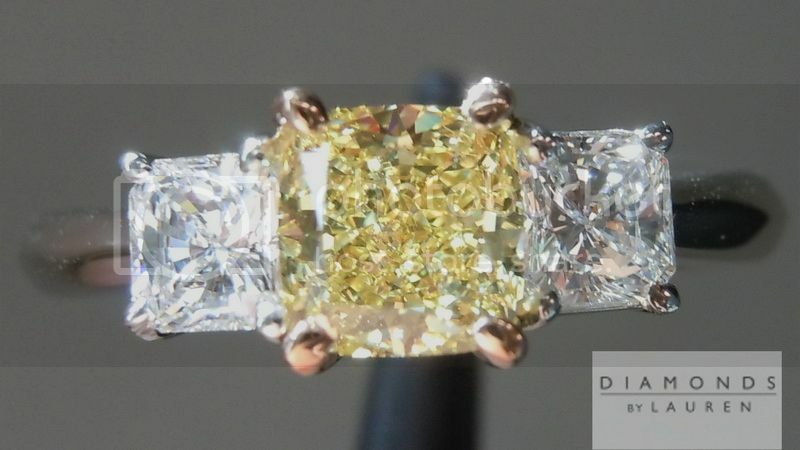 They are about 60% the price of VS stones of similar color and cut. 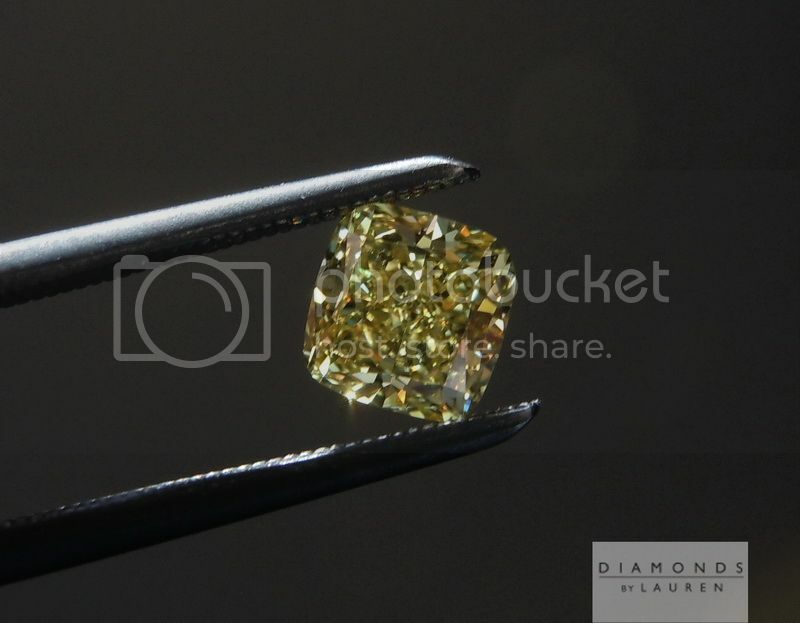 The fact is, really well cut eye clean I1 Diamonds look a heck of a lot nicer than VS or even flawless intense yellow diamonds which are not cut as well. 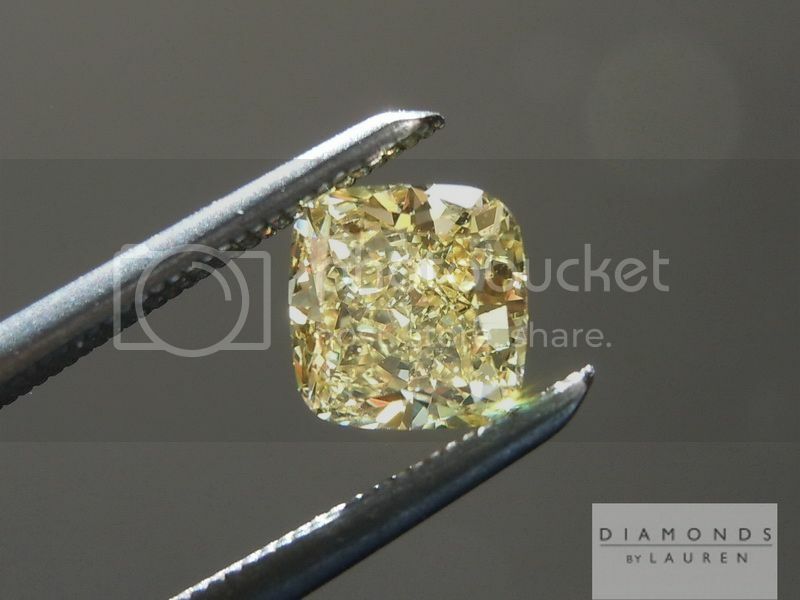 In this case the I1 clarity characteristics are a small black carbon spot, deep within the diamond -it is perfectly placed so that it is highly unlikely a person will be able to ever see the spot with the naked eye. You would have to have amazing vision. I cannot pick it out without a loupe. 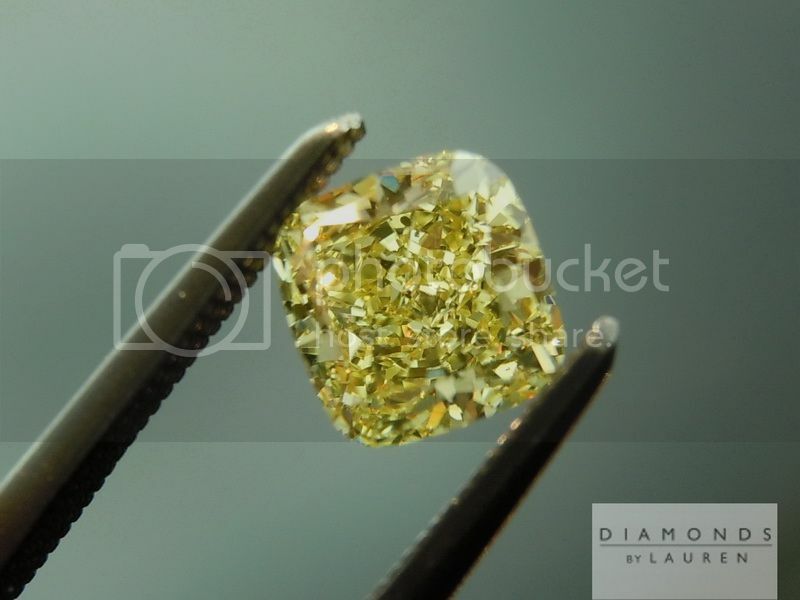 Really great cut means sparkle from edge to edge in this case - and it looks really large for a .70ct diamond. Here's a really unique piece. We originally made this ring for a Purple Diamond. Purple is a far softer color than yellow. The ring just didn't suit the purple diamond, so after 8 years of keeping it in stock we re-set that stone into a more apt setting (R1342). This setting came to life one we plopped n the super lemony yellow canary. 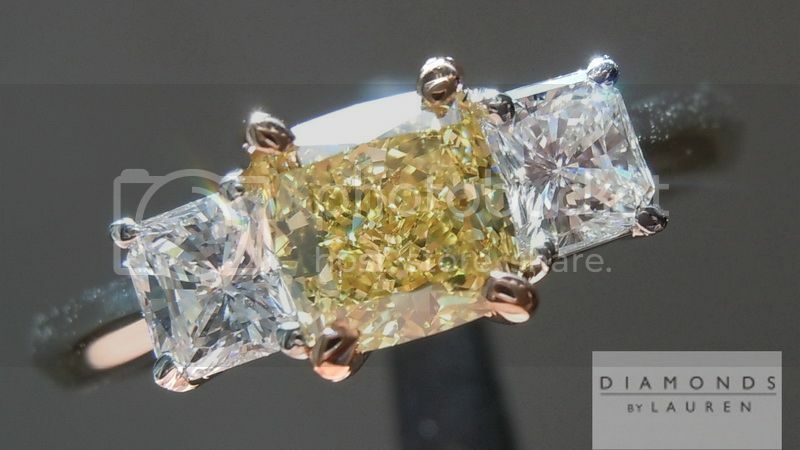 The side diamonds are now faced with a vibrant stone upon which to contrast. The difference is night and day. 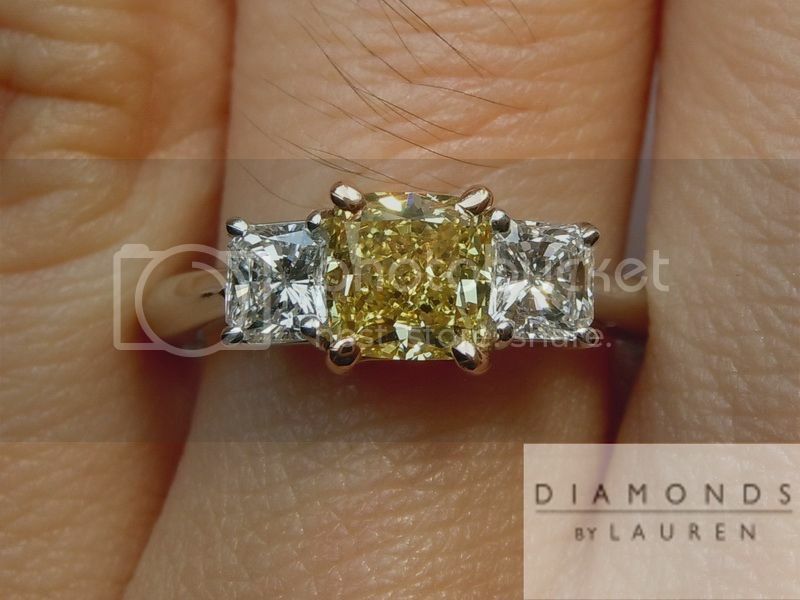 Voilà, gorgeous three stone ring. 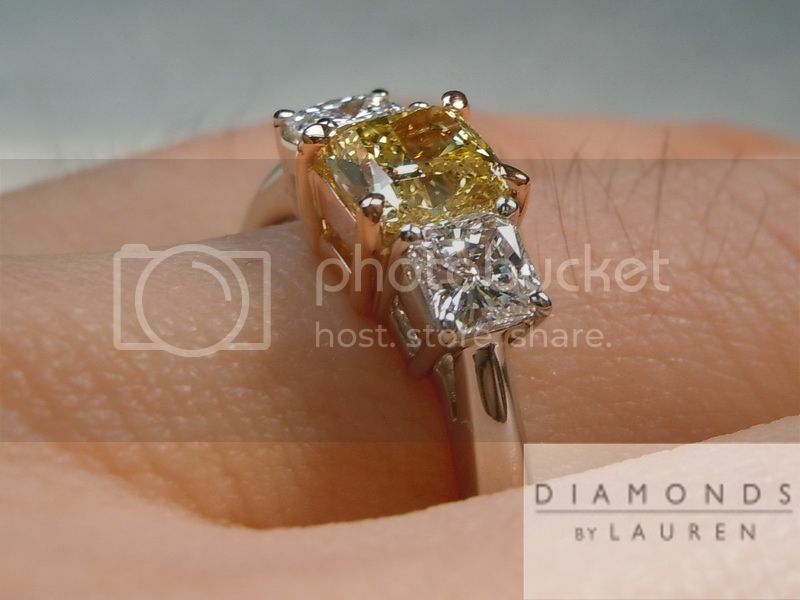 The guys re-worked the center prongs - they are brand new - and we kept the pink gold in place. 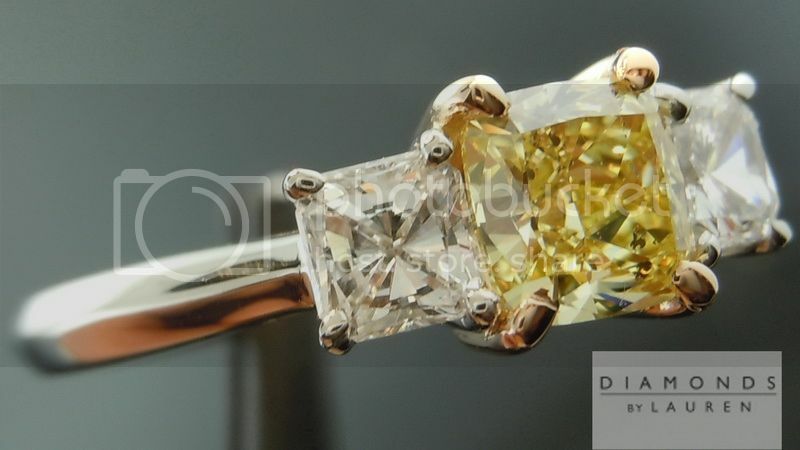 I love the look of the yellow diamond set into the pink prongs. 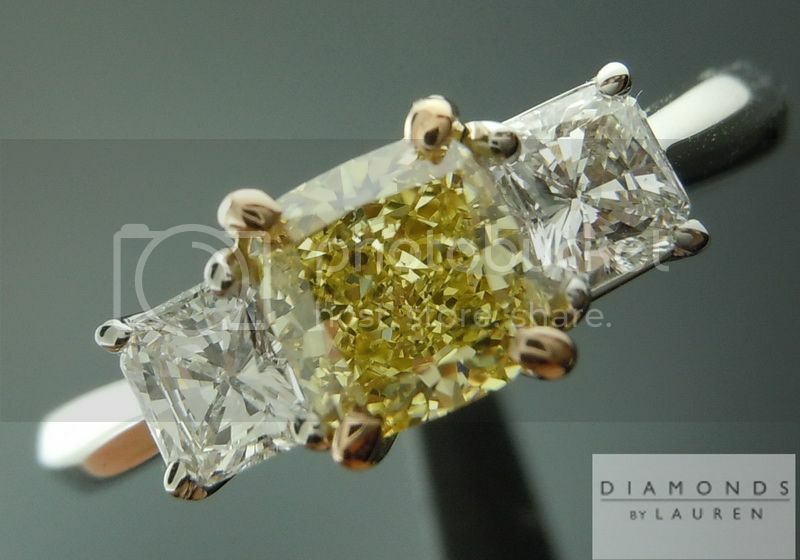 The side diamonds are still gorgeous. Remember, their original partner was a diamond worth more than thirty thousand dollars. 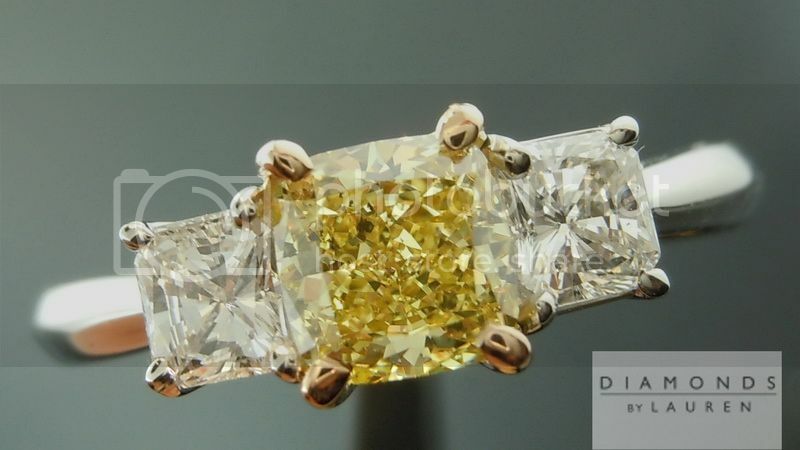 Remarkable ring for the money.